New York: Fawcett Crest, 1979. 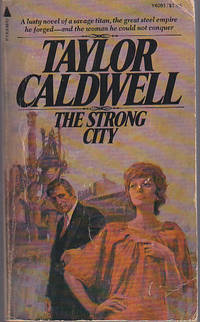 First Fawcett Crest paperback printing, 1979. Fair condition with creased, canted spine, creases, soiling, wrinkling, one small tear to cover. 510 pages tight but soiled on edges.. Mass Market Paperback. Fair. New York: Jove Books, 1979. Very nice copy with uncreased cover. 430 crisp, clean, lightly age-toned pages. She married a man she hated, to be true to another love.. Mass Market Paperback. Near Fine. New York: Atheneum, 1977. 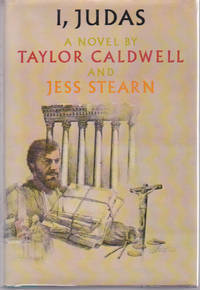 First printing, 1977. Atheneum hard cover first edition in fine condition, in near fine dust jacket with a couple of tiny closed tears, preserved in clear, easily removable, archival polyester cover. 371 pages tight and bright. Now the man and not the myth comes alive in the most startling and spellbinding retelling of the greatest story ever told. Here is Judas seen as himself betrayed both by the Romans and by the Jewish Sanhedrin who had promised that Jesus, if brought to trial, would be acquitted of all charges of treason. . First Edition Stated. Hard Cover. Fine/Near Fine. New York: Bantam Books, 1981. Bantam Books mass market paperback, later printing, 1981. Near fine condition with square, uncreased spine, light age-toning inside. 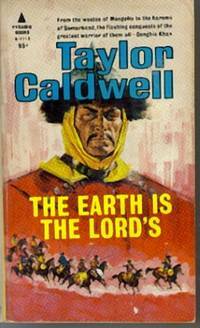 Taylor Caldwell's magnificent story of St. Luke - the healer, the man of science, who sought, rejected and rebelled against God. 602 tight pages. A very nice copy.. Mass Market Paperback. Near Fine. St. James's Place, London: Collins, 1960. 4th Impression. Taylor Caldwell's magnificent story of St. Luke - the healer, the man of science, who sought, rejected and rebelled against God... Green cloth binding with gilt lettering on spine. Slight edge wear at spine edges, corners slightly bumped, slight cant. Name in ink on front end paper. The price clipped dust jacket has edge wear with chips, tears and scars, but is now Brodart protected. The 512 slightly age-toned pages are clean and tight.. Cloth. Very Good -/Fair. 8vo - over 7¾" - 9¾" tall. New York: Pyramid Books, 1965. Pyramid N-1116. From the wastes of Mongolia to the harems of Samarkand, the flashing conquests of the greatest warrior of them all Genghis Khan. 512 pages, some moisture-wrinkled, some dogeared, all age-toned. Spine canted. Cover lightly soiled, edgeworn with a small scar at bottom. . Mass Market Paperback. Good. New York: Popular Library Bright copy with straight, uncreased spine, small tear at bottom of back hinge, bump at top edge of back cover, corner crease on front. 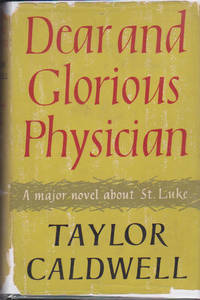 First published in 1954. 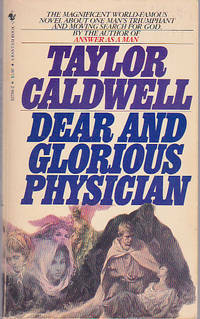 Date of this Populart Library paperback printing not stated. The story of Cornelia deWitt, beautiful and ruthless, whose silken body conquered men just as her iron will held sway over a gigantic empire. 574 tight, clean pages.. Mass Market Paperback. Very Good. New York: Bantam Books, 1974. 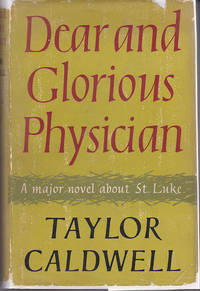 First published in 1957. The towering novel of a modern financial genius and the secret passions that obsessed him. 570 pages. 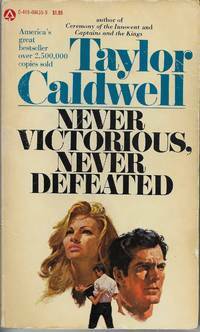 Cover has two tears at top front, several tears along front edge price stamp. . Mass Market Paperback. Good. St. James's Place, London: Collins, 1959. 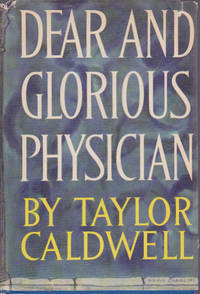 First U. K. Edition, 1959. 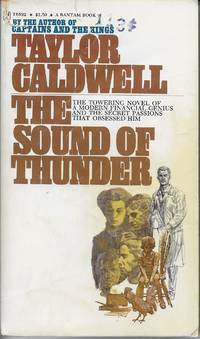 Taylor Caldwell's magnificent story of St. Luke - the healer, the man of science, who sought, rejected and rebelled against God. Green cloth binding with gilt lettering on spine. Slight edge wear at spine edges, with the corners slightly bumped. There is foxing on end papers and page edges, a name in ink on front end paper with another whited out. The dust jacket chips, tears and scars, protected in archival Mylar cover. The 512 age-toned pages are clean and tight. First U.K. Edition. Cloth. COLLECTIBLE GOOD/Fair. 8vo - over 7¾" - 9¾" tall.